With its infamous songs and cheesy plot, it would be very easy to presume that Warren Casey and Jim Jacobs’s 1971 stage musical Grease would have become a terrible attempt to capture the magic of the hit 1978 cult classic film based on the original show and to write it off as another jukebox musical, but there you would be terribly wrong. From the moment the lights go down and the band start playing, the audience began to sing and clap along to the songs giving the show an incredible amount of energy before any actors appeared on the stage. Led by Danny Bayne and Carina Gillespie, the touring cast of Grease give a refreshing yet familiar interpretation of the characters that we all know and love. Directed by David Gilmore, the production is full of energy and captures the charm and cheesiness that made the film such a success. It is very easy to see how the show has achieved such longevity over years and is still bringing in audiences despite having already toured the UK and being revived in London not once, but twice. The staging is simple, yet very effective and each scene moves seamlessly into the next providing the perfect backdrop for Arlene Phillips' brilliant choreography for songs such as 'Greased Lightning' and 'We Go Together' made even more impressive by the shows very talented dancers, in particular Olivia Fines who made the choreography look effortless. Carina Gillespie wowed the audience as Sandy and gave a stellar performance, especially in the reprise of 'Look at Me, I'm Sandra Dee' in which her character transforms into the iconic leather clad Sandy. She had excellent chemistry with her leading man, Danny Bayne who oozed with charisma and energy. Ricky Rojas manages to steal the show with his rendition of Greased Lightning and works very well with Kate Somerset How who gives an equally as show stopping performance of 'There Are Worse Things I Could Do' in which she brings about a vulnerability to Rizzo that worked very well. Out of all of the T Birds and Pink Ladies, it is Lois Urwin as Marty and Richard Vincent as Doody who particularly stand out respectively in all of their scenes and show brilliant commitment behind both of their characters. As far as classics go, you can't get more of a classic than Grease. It has everything that you want from a show. Appealing to all age ranges, from the very young to the very old, it's fun for all the family and is an excellent alternative to pantomime. 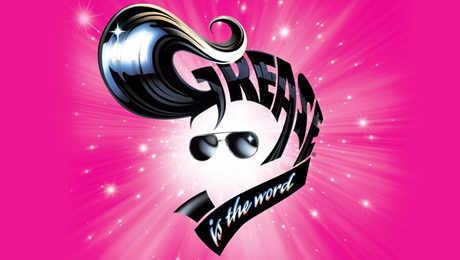 If it's entertainment and fun that you want then Grease is the word at The New Alexandra Theatre, Birmingham, until Saturday 31st December. Matinee performance times vary by date, check the website for more details.